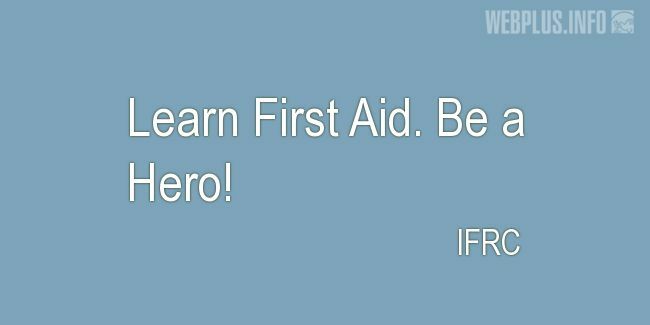 Calendar: «World First Aid Day». «Be a Hero!» illustrated quotation. First aid, free quote pictures for Facebook, Twitter, LinkedIn, Reddit, Pinterest and other social networks. Learn First Aid. Be a Hero!